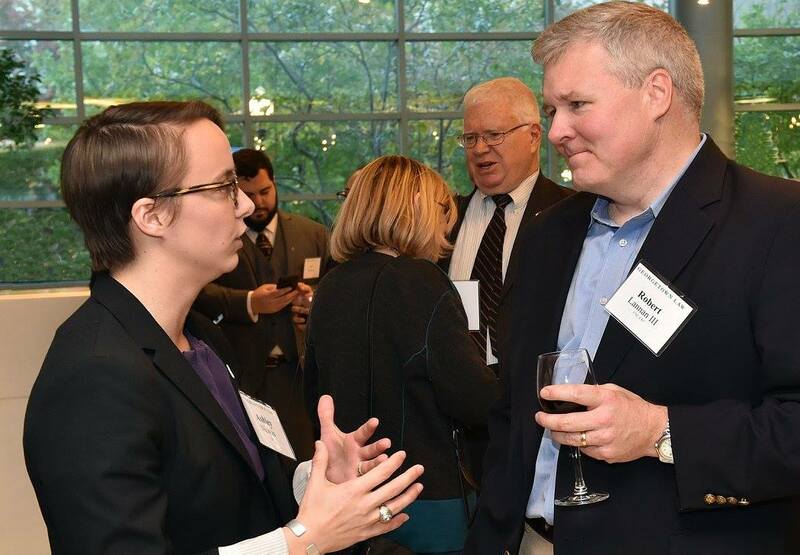 On Friday November 10, I attended a Veterans’ Day reception at Georgetown University Law Center, honoring students and alumni who have served in the U.S. Armed Forces. One of the speakers was CPT Ashley Nichols, a West Point graduate who served in Afghanistan as a U.S. Army Military Intelligence officer, and is now a 2L at Georgetown with a scholarship from the Pat Tillman Foundation. I was privileged to meet CPT Nicholas (pictured above) and her husband LT David Nicolas, an Annapolis graduate now based in Norfolk, VA with the U.S. Navy. 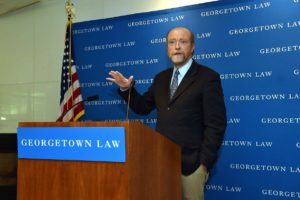 When I was a student at Georgetown Law, if there was an annual Veterans’ Day reception at all, I have no doubt that the median age of the attendees was considerably higher and there were fewer students among the veterans. Georgetown’s relationship with the military then was not as strong. The Law Center prohibited the JAG Corps of all branches from interviewing candidates on campus because of then-existing laws that barred LGBT people from serving in the Armed Forces. That relationship has vastly improved over the past 20+ years. Today, Georgetown Law reports having about 100 veterans in its student body, many of whom finance law school with benefits from the Post-9/11 GI Bill and Yellow Ribbon Scholarships from Georgetown. Many of these students and young alumni have been deployed to Afghanistan, Iraq and other places where their duty was much more hazardous than my own when I served in the Army during peacetime. Georgetown also has a Military Law Society today. I am happy to see that my alma mater today enjoys a strong relationship with the U.S. Armed Forces and their veterans.